I don’t have enough appies in my life. This must mean I don’t have enough parties in my life, because parties are half about company and three-quarters about appies. Appy math. It’s official stuff. Enter this dip. Literally the easiest thing you will make since ice cubes, and much tastier. The ingredients are (are you ready for this? )…roasted red peppers and feta. Sure, I added a sprinkle of Italian seasoning, and a shot of hot sauce isn’t out of order, but it’s as simple as that. 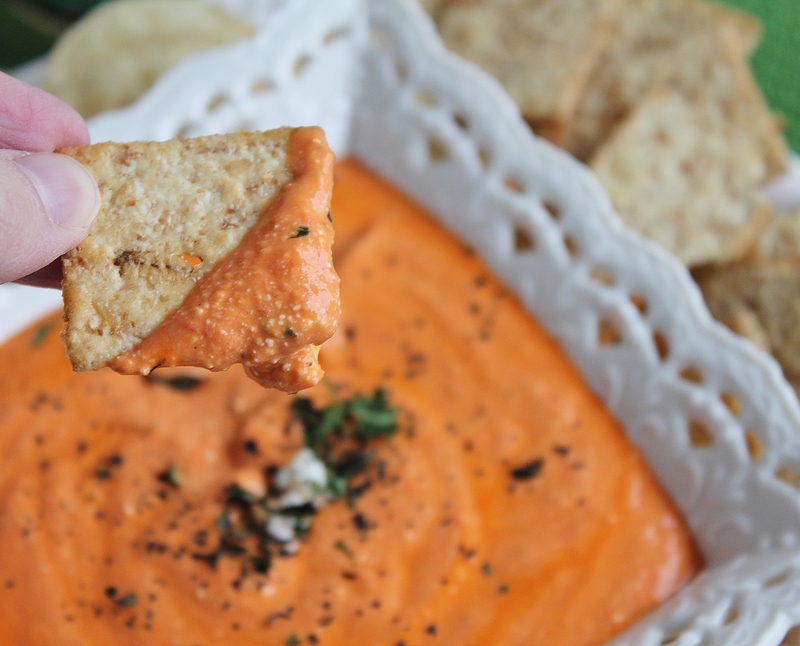 Grab some tortilla chips or crackers, and you are set. Tortilla chips are my favourite with all dips, regardless of whether they’re Mexican or not. That salty crunch only makes everything better. The only possible exception is good crusty sourdough bread with the best spinach dip on the planet, but even that I would eat just as happily with tortilla chips. This can be served at room temperature or warm – we liked it warm with chips and crackers, and at room temperature as a dip for raw veggies. This recipe comes from 150 Best Dips and Salsas, and the description calls Dips and Salsas “the most sociable of recipes”. I couldn’t agree more. Some of my best conversations with family and friends have been mumbled with gooey dipped chips in our mouths, and no one ever leaves a well-dipped party unhappy. If you have the ingredients for this on hand, you’re ready to welcome a party any time opportunity knocks. A super simple vegetarian appetizer. 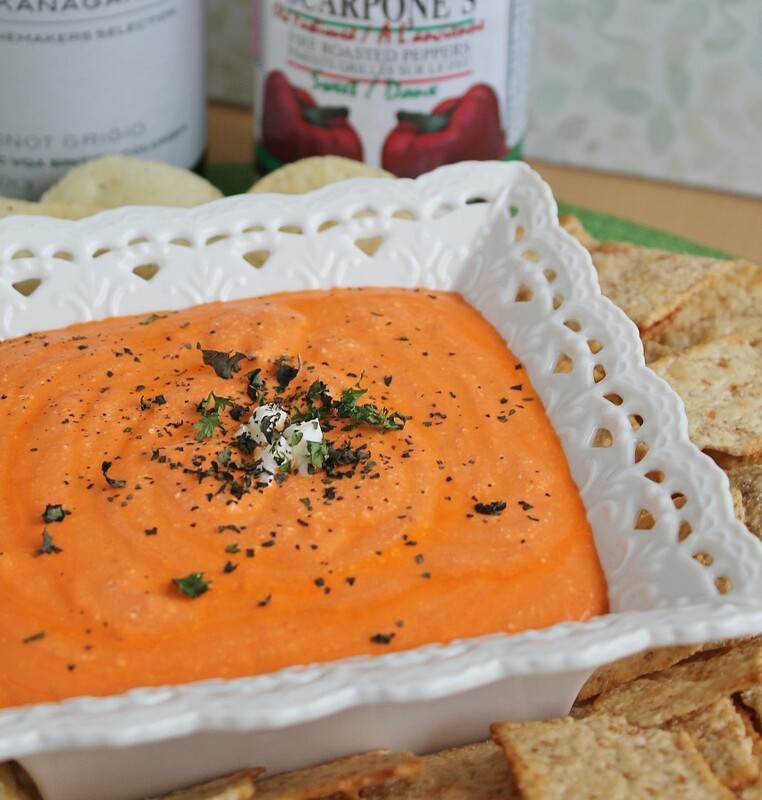 In food processor fitted with a metal blade, process feta and roasted red peppers until smooth, about 30 seconds. Add a splash of hot sauce to taste, if desired, and pulse briefly. Transfer to a bowl and serve immediately, or cover and refrigerate for up to 3 days, warming in the microwave or oven when ready to serve. 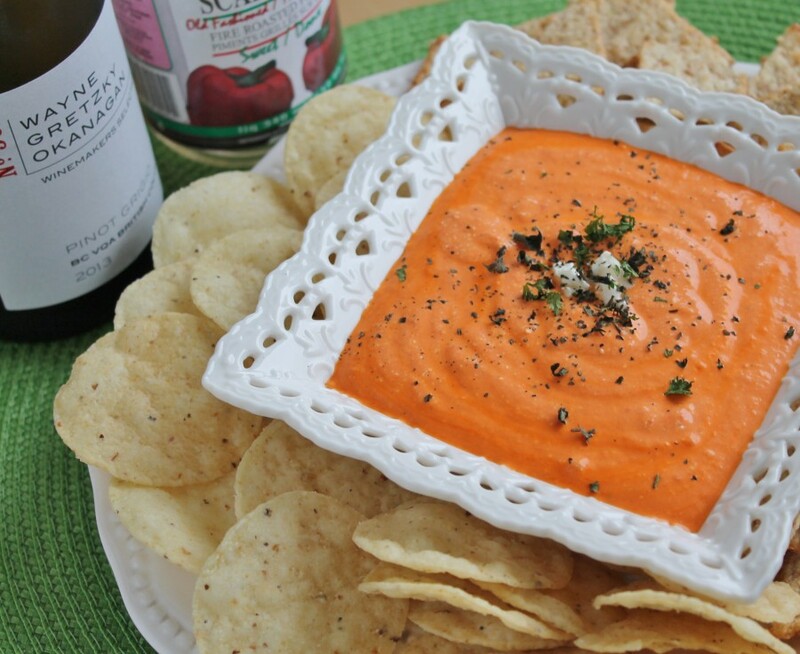 Recipe from 150 Best Dips and Salsas, published by Robert Rose. I received a copy of the book to review but was not otherwise compensated for this post. Recipe reprinted with permission. I agree – I need more ideas like this dip in my life! So simple but I bet it is just fantastic!